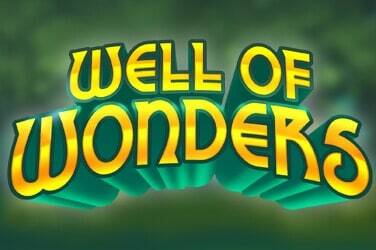 The Esqueleto Explosivo slot makes you not want to say it but just try and play it! 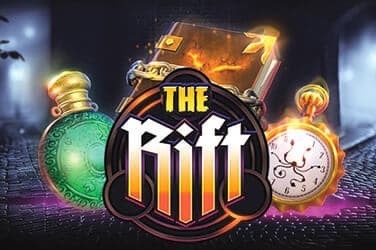 Thunderkick has a reputation for creating quick-witted online slots, and this one does not disappoint – it will make you laugh out loud with its wit and imagination and keep you playing on your culo until the vacas come home. The game loads with a now trademark Thunderkick animation, setting the scene for the gameplay. 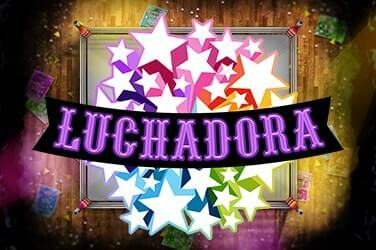 The game’s title explodes in a haze of fireworks over a Mexican fiesta to the tuneful sound of mariachi music. We are promised a “Mucho Multiplier”, up to a sizzling x32. Crane down to the reel action and we can see our five reels are an undead mariachi band with three skulls balanced on each band member’s skeletal neck. All you Spanish speakers out there will know what’s coming – Esqueleto Explosivo translates as exploding skeleton. 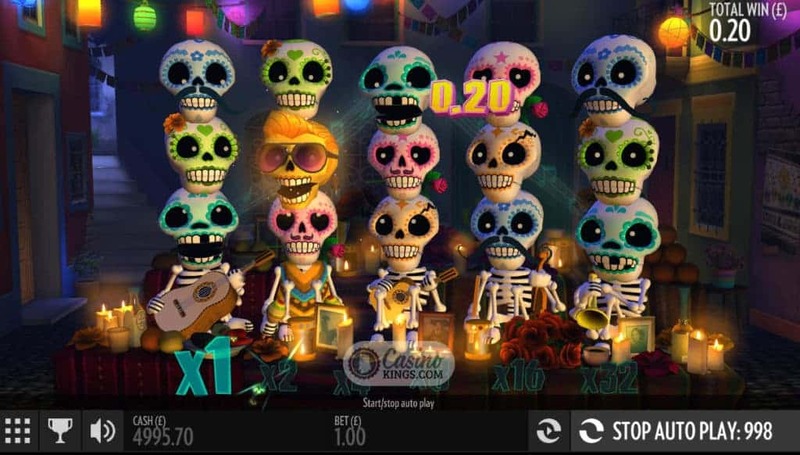 The skulls tumble down with each spin – with comedy sound effects to match – while winning paylines make the victorious skulls sing a mariachi note before exploding in a mini-firework. Each win prompts another set of tumbling skulls. The more we win with the more notes they sing. Esqueleto Explosivo has no separate bonus game to look forward to, but the Mucho Multiplier does make big wins possible. The Explosivo wild symbol – a golden skull wearing shades that is weirdly reminiscent of Elvis – blows up the surrounding eight skulls with a yelp of delight. 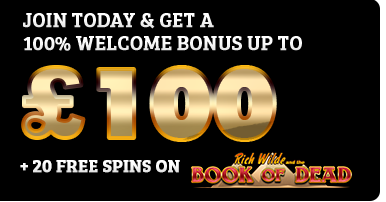 This slot title has 17 paylines across the five reels, which may seem on the low side, but players can ramp up their winnings with the Mucho Multiplier, which comes into effect and increases with every win. 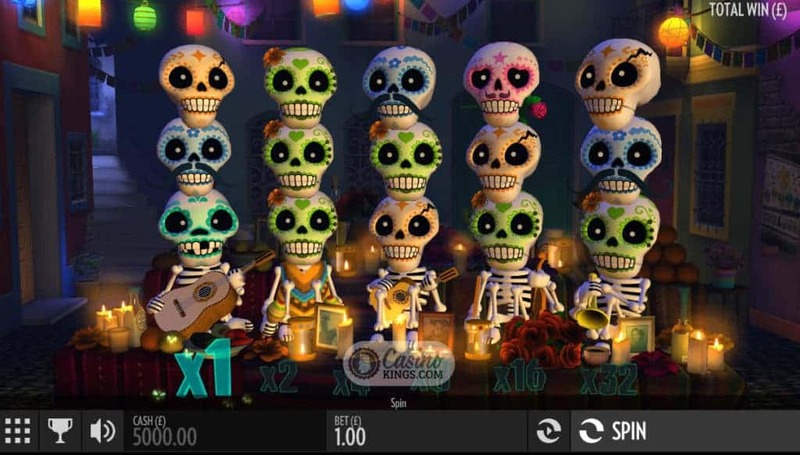 The more winning skulls that drop, the higher the winnings become and the greater our skeletal mariachi band’s celebrations – and ours too! 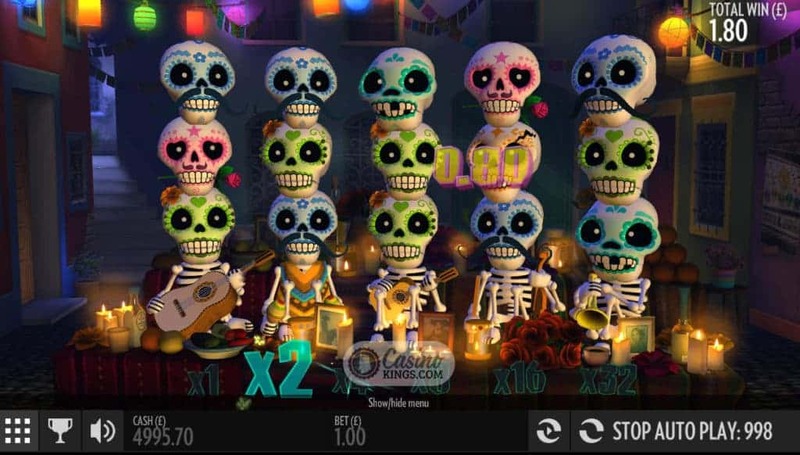 As always with Thunderkick online slots the attention to detail is second to none, right down to the glances between the blinking skeleton eyes of our mariachi band. 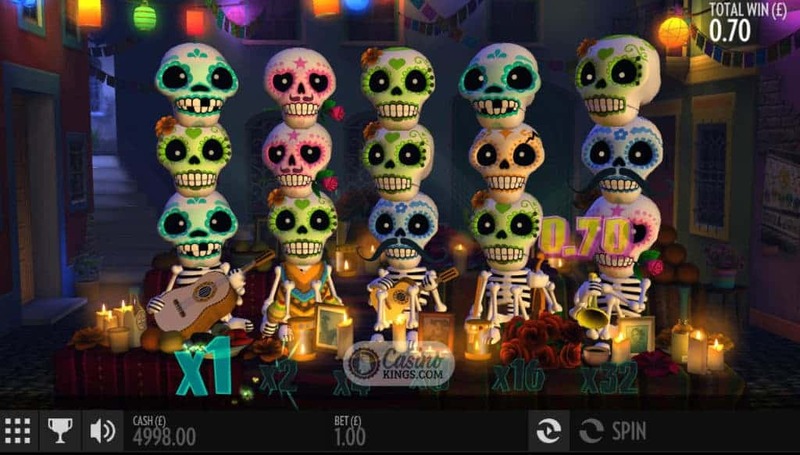 The sheer playability of this slot means that you will Pasa Double your way across your living room and accompany that undead mariachi band in its honeyed refrains. 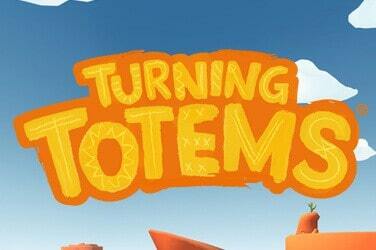 That is to say, you’ll find yourself singing and dancing along as your winnings tot up. I feel an urge to paraphrase the famous line from Blazing Saddles: Bonuses? We don’t need no stinking bonuses!